Watch full Ginga Eiyuu Densetsu Season 4 Episode 13 English Subbed full HD online. Ginga Eiyuu Densetsu Episode 99 English Subbed online for free in HD. The Approach Run toward the Future. Mittermeyer and the other admirals return to Phezzan. All the admirals are debriefed by Reinhard. 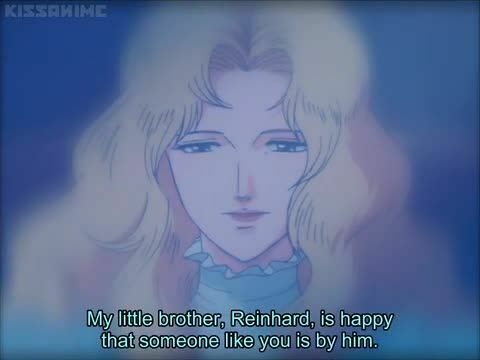 Mittermeyer meets with Hilde and discusses the adoption policy for Reuenthal’s child. Mittermeyer adopts Reuenthal’s child and servant and brings them home to meet his wife. Hilde reveals to Reinhard she is pregnant with his child, she accepts his marriage proposal. The Terraists feud leadership now that Reinhard has a successor. A deranged Landsberg leads Imperial police to the mummified corpse of Erwin Josef II. In Iserlohn, the staff celebrates the new year with a large party.